Your personalized mobile responsive email newsletter is sent to your customers for you, allowing your customers and prospects to view the content on any mobile device. 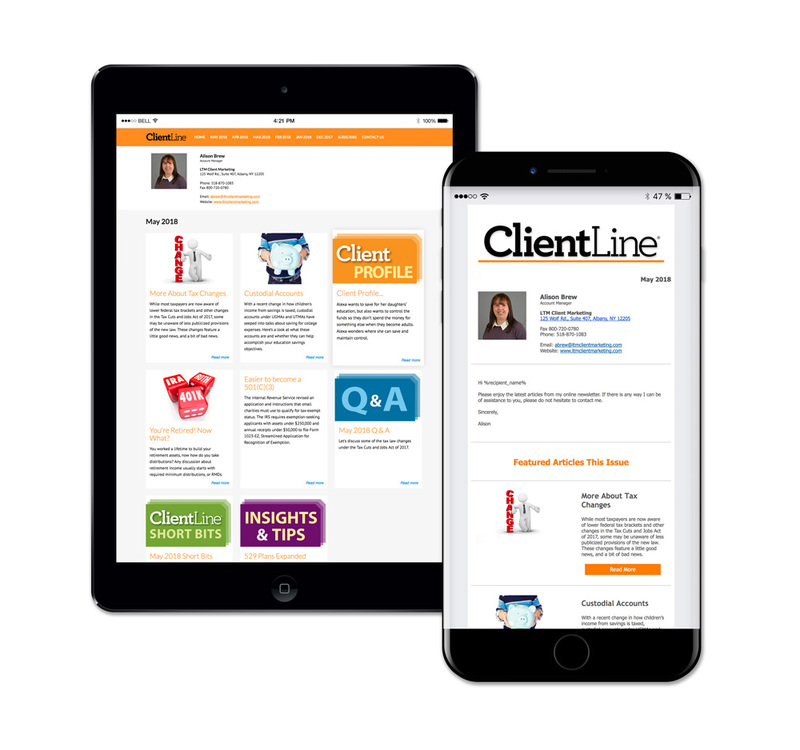 ClientLine is the perfect communication tool for engaging your clients and prospects all year. Don’t forget, it’s also available in Print. A communication program is not complete unless you provide a print and digital customer experience.